Dr Regina Donlon, History Lecturer at Carlow College, St. Patrick’s will speak on ‘German and Irish Immigrants in the Midwestern United States, 1850–1900′ next Monday, 10th December at 1.45pm here at Carlow College. Her book of the same title will be launched on the day by Fr Conn Ó’ Maoldhomhnaigh, President of the College. 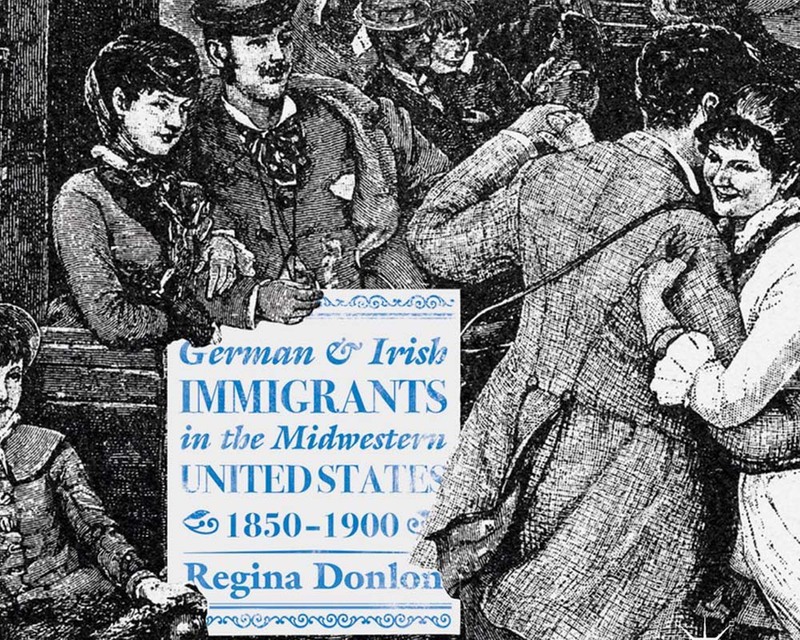 German and Irish Immigrants in the Midwestern United States, 1850–1900 examines four specific immigrant communities through economic, social, cultural, religious, political and gendered lenses. In the second half of the nineteenth century, hundreds of thousands of German and Irish immigrants left Europe for the United States. Many settled in the Northeast, but some boarded trains and made their way west. Focusing on the cities of Fort Wayne, Indiana and St Louis, Missouri, German and Irish Immigrants in the Midwestern United States, 1850–1900 utilises comparative and transnational methodologies in order to trace their journeys from arrival through their emergence as cultural, social and political forces in their communities. Donlon offers new insights into the factors which shaped their experiences—including the impact of city size on the preservation of ethnic identity, the contrasting concerns of the German and Irish Catholic churches and the roles of women as social innovators. This unique multi-ethnic approach illuminates overlooked dimensions of the immigrant experience in the American Midwest.